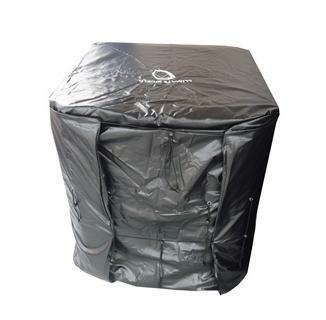 One size fits all Climate Shield Cover for pool heaters and pool heat pumps. FREE SHIPPING! Protect your pool heater or heat pump from the damaging effects of snow and ice in the winter and intense UV rays and debris in the summer. 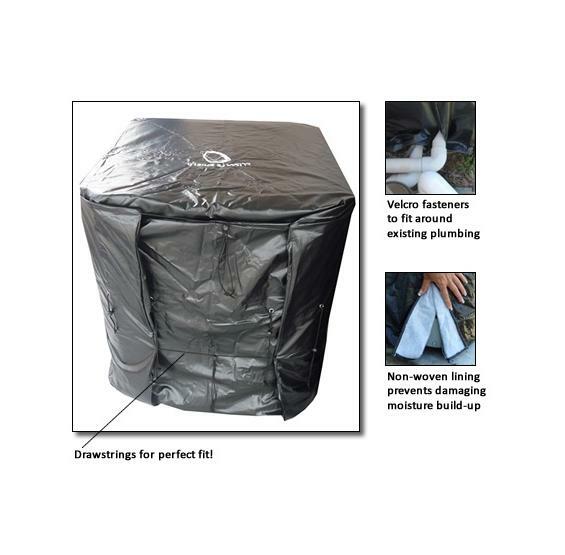 Climate Shield covers feature high quality vinyl with non-woven lining to wick away harmful moisture. Fits snugly on any size heater or heat pump using simple drawstrings and hook & loop fasteners to secure to plumbing.